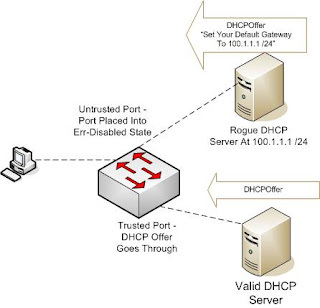 Still on the DHCP server, but this time I will discuss about how to configure a DHCP server on 2 different network segments. In this case, there is a two-story building, has a network on the 1st floor and 2nd floor. The owner of the building is desired, for different network 1st floor with floor 2, but for convenience he wants to use a DHCP server. Previously he budgeted 2 pieces of servers for Internet connections at each floor 1 and floor 2. I think not need 2 servers for Internet connections, especially the number of computers floors 1 and 2 and the bandwidth which is owned not too big. Finally, the landlord was willing to accept my advice with making a DHCP server for both the network connection. How to make it not too difficult, it only needs a very simple configuration and 2 Lancard that her listen as a DHCP server to the second network. How to install DHCP server is no different from my previous writings. The difference, in this case is to use 2 Lancard network netwrok 1 and 2, and 1 Lancard longer a public network. dhcpd_enable = "YES" # dhcpd enabled? chance to grout I use ipnat and to my firewall using ipfw. For his firewall may also use an open type or if necessary + dummynet you now can smile because maybe you have a problem like this and not have a solution.